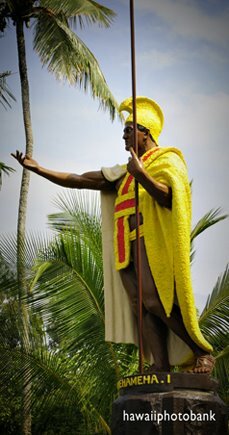 On Maui, the Wild, Wild East is Where the Action is. 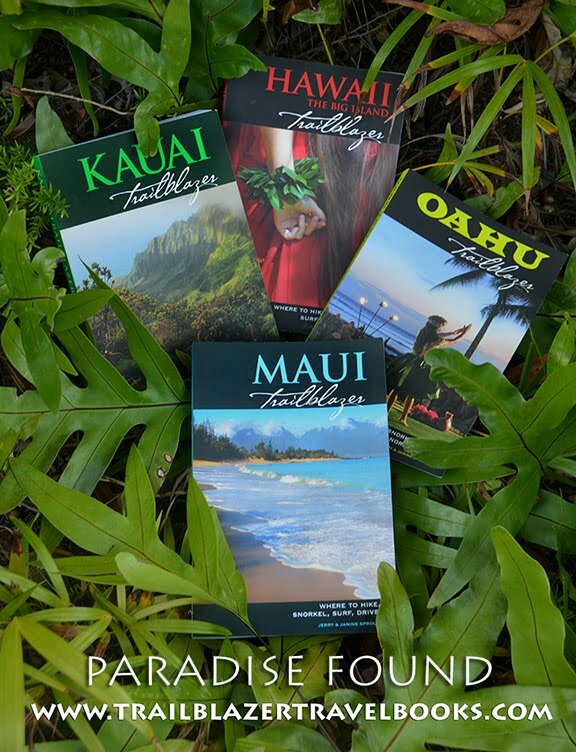 Practically all tourists stay on the west coast of Maui—either in the south at Kihei-Wailea or in the north at Lahaina-Ka'anapali. 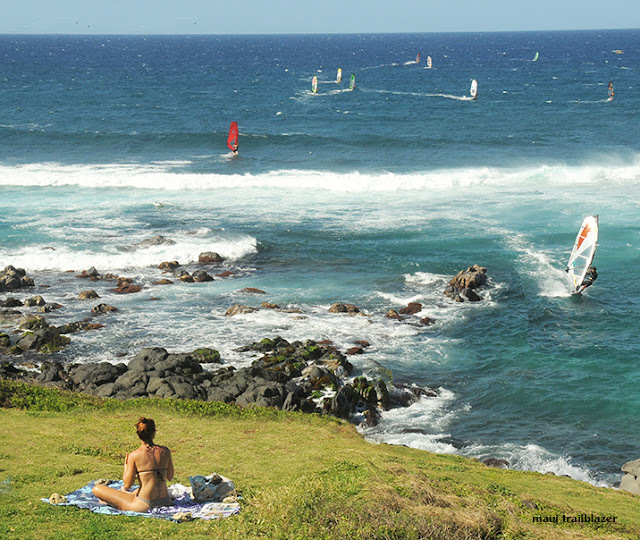 But locals looking for action head to the east side, the windward coast, where at Ho'okipa Beach the sport of windsurfing was born. Colorful sails are always flitting about on a near shore break. A beachside bluff provides free box seats. Professional events are a spectacle. 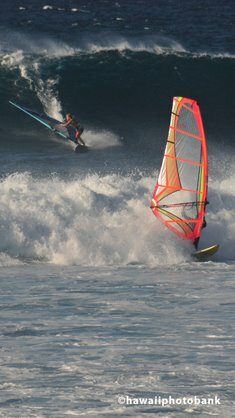 Windsurfing is only one way to join in the fun. 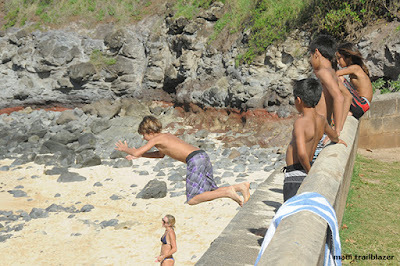 Local kids flock to Lower Paia Beach Park, where surfing is the main draw. Unless you count people watching. 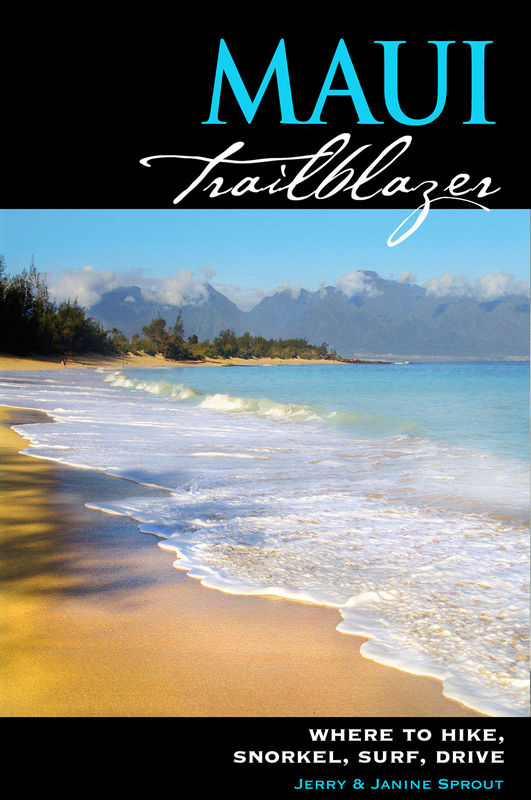 Paia is the arty-cool-hempy tourist town on Maui. 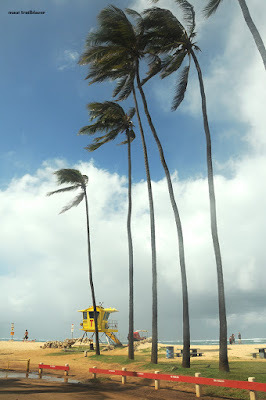 Surfers rule at the south end of Ho'okah, er, Ho'okipa. 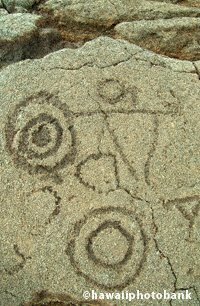 A vista point turnout above the beach is a perfect place to see the scene. Whales cavort offshore during the winter months. 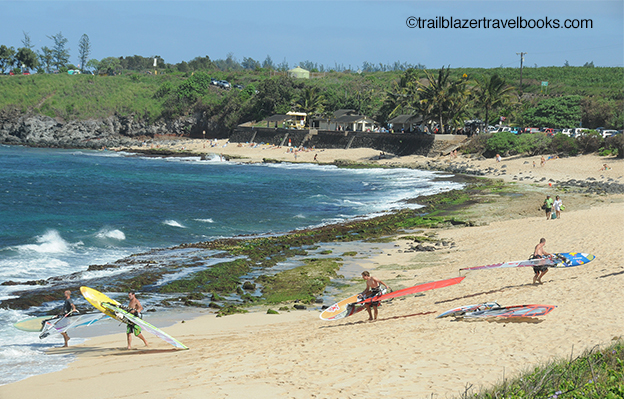 Kahana Beach Park is near the airport, but it is also one of Maui's scenic getaways. At one end of the long park, kite-boarders fly high; windsurfers dominate the other end. 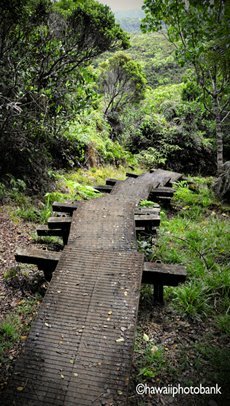 In between is a tropical arboretum and gardenscape with picnic tables. 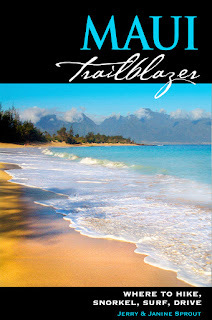 Another option is a long beach walk away from Kahana to find seclusion for a chill day at the beach. 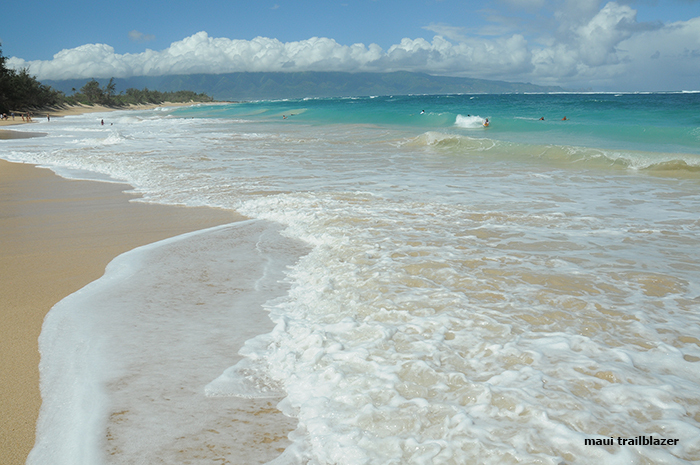 The crown jewel among locals' looking for the good life is Baldwin Beach Park, a couple miles north of Paia. 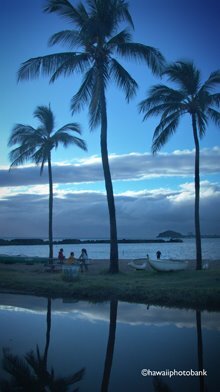 It's one of the best parks in Hawaii to enjoy the end of the day. Surfers like the mellow onshore break. A walk to the end of the sand (or you can drive there) gets you to Baby Baldwin Beach— a curling reef forms a large protected pool for low-key snorkeling and keiki dipping. 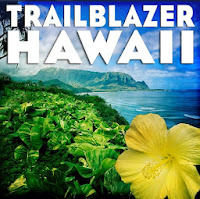 Maui Trailblazer has more details on the windward coast, and everyplace else on the island.